Everyone that I've ever talked to has been very friendly and has gone over and above in answering questions. We stayed at Ridge Runner in July and again at Thanksgiving and absolutely love it. It is the perfect cabin for our family. It really feels just like home, but better, because of the beautiful view of the mountains. We stayed here in July and knew we wanted to come back particularly to this cabin. Also, the nightly rate is much more reasonable than most other companies, and yet it is a much nicer cabin than others. They were very helpful by the time we got lost in the middle of the way. They came to us immediately and showed the way to arrive. Thank you. We had a great time together during the Thanksgiving week. It is an amazing place to relax. I was impressed by the phone call I received to make sure we found the cabin and that everything was o.k! Absolutely perfect getaway for our 15th Wedding Anniversary! We will definitely be back! Every question we had prior to arrival was answered and more detail was given. They checked on us to make sure we arrived safely. Very nice, caring and easy to work with. The Sun Eagle Lodge meet our expectations and more. The views from every level were unbelievable. And for Thanksgiving we were blessed to have snow. We were quite pleased with the service we received. Everything about the rental went smoothly and without stress. We enjoyed the follow up emails that we received, which got us pumped up about our upcoming vacation. There were suggestions of things to do and even a list of places where we could get Thanksgiving dinner should we have chosen not to cook! The call to make sure we had arrived was so welcoming. I cannot say enough positives about the service we received! We had a wonderful Thanksgiving holiday in the cabin, as we've wanted to do for quite a while. It was everything we had hoped for, and we wouldn't change a thing. We experienced sunrise, sunset, stars, and even snow. For a while, we had wanted to spend a holiday in a mountain cabin. A search online led us to your beautiful, easy to use website with all the information we needed and pictures and great descriptions of the cabins. We loved the seclusion of the cabin. It was so quiet and peaceful up there. That combined with the easy to use fireplaces and ample sized kitchen made for a most enjoyable Thanksgiving! Superb service and engaging staff. 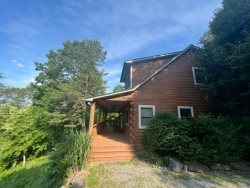 If you are looking for a beautiful, family cabin in the mountains then this is it! I can't wait to return! The pictures and description were very informative. Kathy was very helpful and really enjoyed every part of our stay. What a beautiful and memorable Thanksgiving. we had at your wonderful Bryson City mountain retreat. The beds were comfortable and plenty of room for the four of us. We enjoyed the town of Bryson. We went to Maggie Valley then to Murphy and Franklin, NC. Looking forward to our move to Western NC. We will be back. Had a very nice Thanksgiving up here. Warm and cozy. We went to see the falls and toured around a little and saw Cherokee. It snowed our first morning here even. Very Nice stay thank you so much. Our Family of 5 and our dog spent Thanksgiving here. Wheat a wonderful cabin. We had such a relaxing vacation. There was something for all of us to do. There were many family games of Monopoly around the fire at night. I am going to miss the hot tub and the heated bathroom floors! We loved it Amazing trip. Beautiful Home and View. We will be Back. Just wanted to get in touch and let you know that we had a fantastic time and really enjoyed the cabin, Bryson City and the surroundings. Thank you so much for letting us stay at the cabin. We loved the place and felt very comfortable. It was just right for our family of 4. Thank you so much for putting up the Christmas decoration. Our family had a wonderful time here this week. It was the first time we had ever been away at Thanksgiving and we could not have had a better trip. This cabin was perfect for the three of us. We woke up to about 2 inch's of snow. Staff was very responsive and appeared generally concerned about making certain we had correct directions since we would be arriving after dark. They even left the light on for us. We all enjoyed it. The cabin was fabulous. Large, but cozy with the gas logs. The view is incredible. We just wish we had time to stay longer. Nicer properties at comparable/reasonable prices. Prompt response to inquiries.